German Shepherds are working dog breeds that originated from Germany (of course). This breed is also known as the ‘Deutscher Schäferhund,’ and was initially bred to herd large flocks of sheep. They are often preferred for many types of work due to high intelligence, obedience, and power. 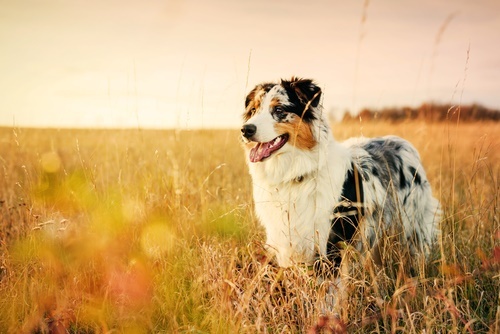 Recognized for these qualities, they are often employed for search-and-rescue tasks and military roles, considered as one of the most reliable pets to own. Early socialization and training are important for German Shepherds, as they can be quite aggressive if they do not trust you. This breed is active and so they need to be given attention and taken out when possible. They not be left alone or caged for long periods of time since they may become a depressed or in worse cases, destructive. Besides their temperament, they are quite unique in their look. German Shepherds have a double coat which is dense with a thick undercoat. The coats come in medium or long lengths and may be straight or sometimes wavy or wiry. Coming in a wide range of colors, most German Shepherds are either tan black or red black. Furthermore, these lovable breeds are heavy shedders. They shed heavily year-round, and blow its undercoat (dense fur under the harsh top coat) twice a year. For this reason, formal grooming is required. It is recommended to brush them at least twice a week and daily during the shedding season. This can prevent skin problems. Also, it is suggested to bathe a German Shepherd when it absolutely needs it. Despite their constant shedding, they are quite clean dogs. For dogs with such thick coats, it may be a hassle and difficulty brushing these dogs. Not any brush will do. The act of brushing can help remove loose hair from the outer and inner coats and leave the coats looking well maintained. With so many products out there, we have narrowed down the search for owners. To help you become more aware of what products are good for brushing your pet, we have provided a list of the best dog brush for German Shepherds. This brush is the ultimate rake that helps reduce hair shedding by up to 90%. Amazon has a ton of this de-shedders since the tool does not harm the dog’s delicate skin without damaging coats of the dog. 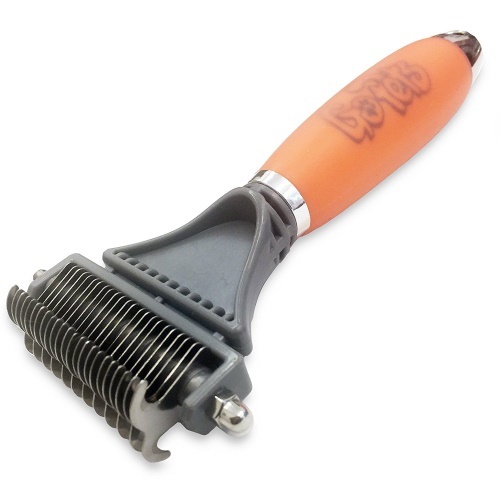 The handle is very comfortable and can extend the grooming session, making it ideal for owners with more than one dog. This de-shedder makes sure that your home is a cleaner place by reducing the amount of pet dander that winds up in your home’s heating and cooling system. Even dogs that seem to be very sensitive to brushing can use this de-shedder to eliminate. 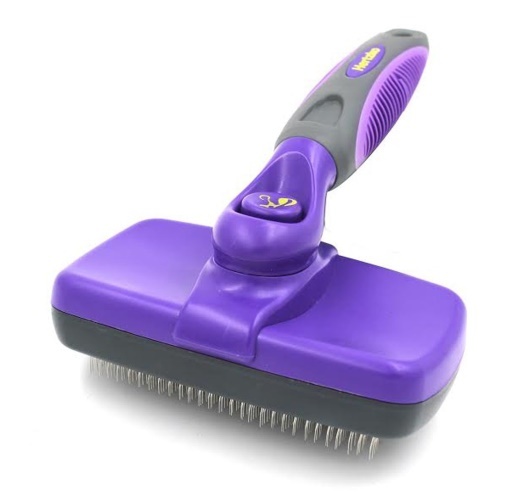 This brush is suitable for dogs of all sizes and is made of a 4-inch stainless blade cover with a comfortable handle. The tool is perfect for all types dog as it can be used on all lengths of dog coats and can remove up to 95% of the loose topcoat fur. 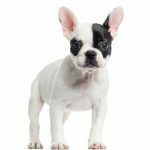 It is easy to be cleaned and does not cause any allergies on the dog’s skin. This brush is one of the best-selling products on Amazon. This product consistently gets good and reasonable reviews. 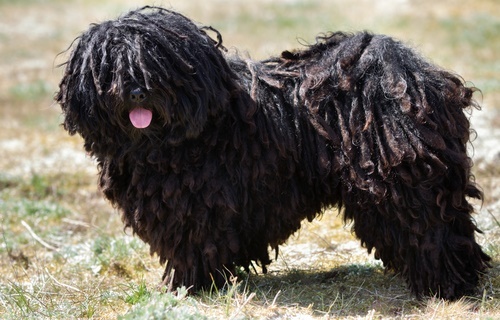 It removes loose, tangled and matted hair from your dog’s coat effectively and is able to massage your dog’s coat. Hertzko comes with an ergonomic handle that provides comfort on your hand. 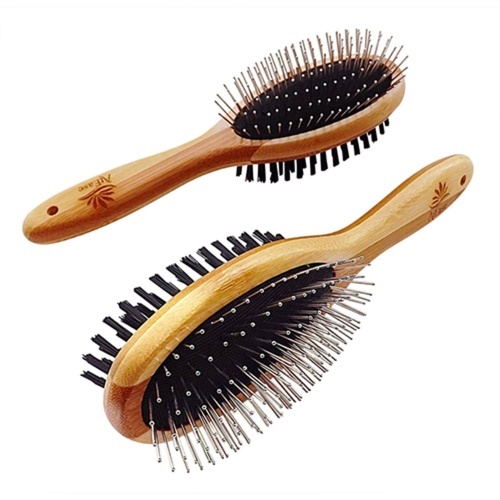 This brush is an eco-friendly tool that is made from quality bamboo wood which lasts longer. 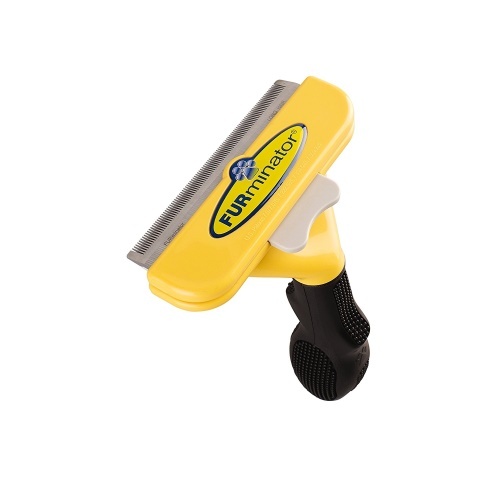 The double-sided brush is attractive and is also durable, safe and easy to use. It stimulates blood flow to your pet and does not cause any harm to the skin. 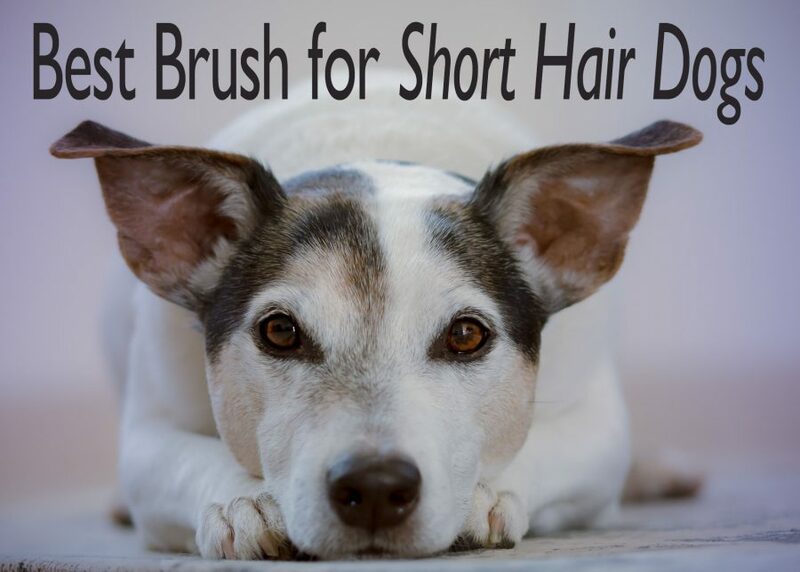 This brush is great for German Shepherds as it helps to de-tangle knots easily. The rounded ends won’t hurt or irritate your German Shepherd. The handle is also of a silicone gel, and won’t slip easily, making a more pleasant experience of grooming your pet. 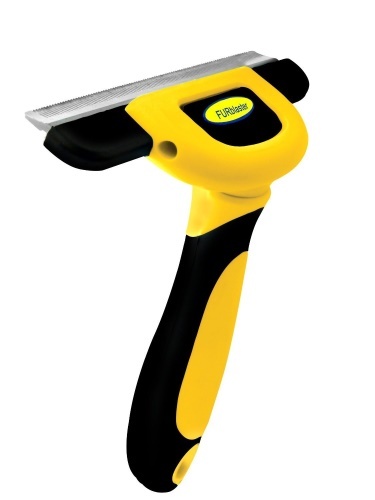 The tool is suitable for all sizes and breeds of dogs with long, short or even medium length fur. 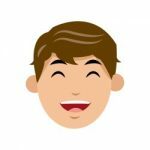 The tool also has over 2000 positive customer’s reviews. You can’t stop a German Shepherd from shedding, but you can heavily reduce the effects (dropped hair everywhere and the associated clean-up) with regular brushing. As mentioned above, finding the right brush is the most important tool. A brush that is able to work effectively and at the same time provides the comfort for both the dog and the owner. This is why it is important to review some of the items listed above. David has been surrounded by dogs ever since he was a little boy. From owning a Golden Retriever to a giant Labrador, his family has always welcomed the companionship a dog brings. For this reason, he obtained a Bachelor's degree in Animal Behavior and since worked alongside many vets.